1. The Dallas City Council decided to pass on hiring Oakland City Administrator Deanna Santana to be the city’s new city manager, the Trib$ reports. The council instead chose to give the job to Dallas’ interim city manager. Santana, who has made it clear that she wants to leave Oakland, was one of three finalists for the position. 2. 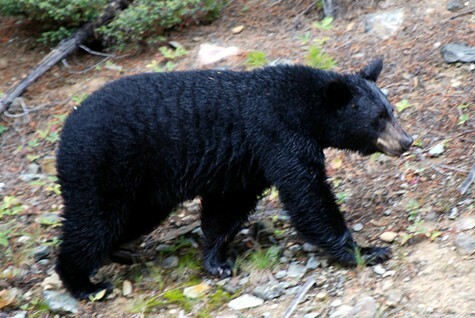 Hot, dry weather this winter in California has brought black bears out of hibernation in the Sierra, the Chron reports. The drought also is expected to create havoc throughout the state's natural food chain this year. 3. State fire officials say that dry conditions in California now resemble summer months and are bracing for perhaps the worst wildfire season ever, the LA Times$ reports. There already have been 150 wildfires in the state this year. 4. President Obama is expected to sign an omnibus bill that includes a recommendation that the US Postal Service hold off on plans to sell the historic downtown Berkeley post office and other historic structures, the Washington Post$ reports. Both houses of Congress approved the recommendation last week. 5. Prosecutors dismissed methamphetamine charges against former Alameda County Supervisor Nadia Lockyer after she agreed to participate in a drug diversion program in Southern California, the LA Times$ reports. Lockyer and her husband Bill Lockyer have reunited and now live together in Long Beach. 6. And East Bay state Senator Mark DeSaulnier has emerged as the clear favorite to take over for retiring Congressman George Miller, the CoCo Times$ reports.